This visionary book, written by Michael and 5 other internationally recognized Global Teacher Prize finalists, has influenced both policy and practice around the globe since it was released. 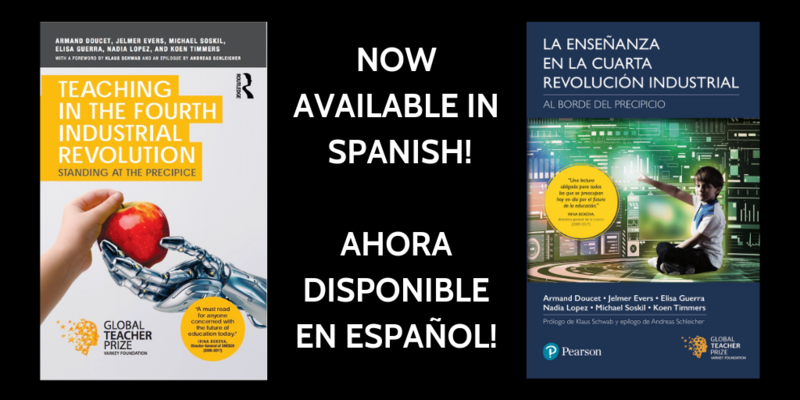 Now translated into Spanish and Vietnamese, the authors create a positive and hope-filled template for the future of education. They address the hard moral, ethical and pedagogical questions facing education today so that progress can serve society, rather than destroying it from within our classrooms. This blueprint for education finally brings forward what has always been missing in education reform: a strong collective narrative with authentic examples from teachers on the front line. It is a holistic, personalized approach to education that harnesses the disruptions of the Fourth Industrial Revolution to better shape the future for the next generation, and ensure that every child can benefit from the ongoing transformations.